Could a brand new US champion be crowned this week? Everyone agrees that qualitatively SmackDown Live is a much better show than RAW is. However, the ratings have consistently been poorer than RAW, despite the show being easier to watch and faster paced. RAW is a longer tradition than SmackDown has been, and people are just a lot more used to watching wrestling on Monday nights. 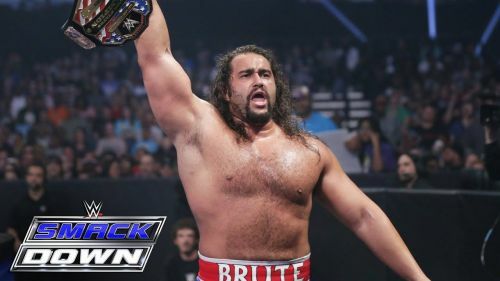 SmackDown Live needs a shake up, very soon. The blue brand does not have a lot of matches at the TLC pay-per-view. All of this could change on this episode of the blue brand. Expect more matches to be added to the show. Sound off in the comments below and let me know your thoughts and your opinions. How many of these twists could you potentially see happening? Also let me know how you would book SmackDown Live, leading up to the TLC pay-per-view event. Are we going to see these two men slug it out at TLC? 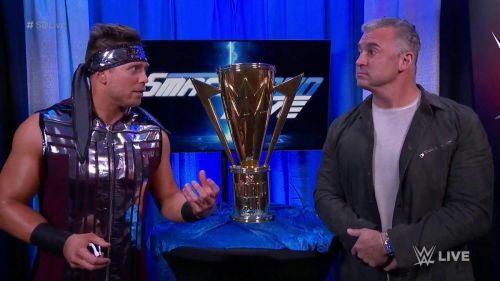 The Miz was in the finals of the WWE World Cup tournament when he found out that he wasn't able to wrestle anymore. Shane McMahon took his place and went on to win the tournament for team blue. And ever since then, The Miz has wanted to form a Tag Team with McMahon. This is the oddest storyline on SmackDown, ever since the Top 10 list, and is certainly leading to a clash between the two superstars down the line. I wonder if the volatile Miz could implode on this episode of SmackDown Live and attack his boss. This could potentially set up a grudge match between the two men at TLC, this weekend. The storyline would almost certainly continue beyond TLC. Considering how gifted both men are, I want to see how this feud develops over the coming weeks.